Originating from the historic Islam story, where it is, said that ‘jinn are made of smokeless fire’, the concept of making smokeless fire has been a practise of making fire since long. 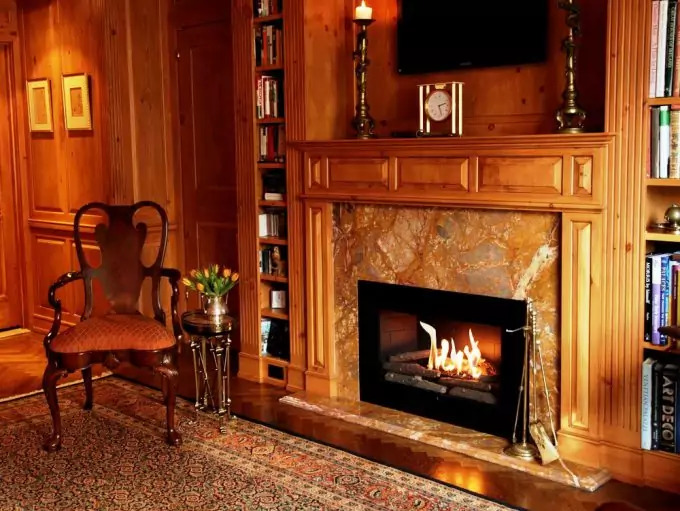 Fireplaces have transformed from highly polluted and choking drudgery of the primitive man, to become an efficient, crimson red fire encapsulated in a crystal bonfire that is searing and sparkling, thanks to the age we live in. The better half of the transformation has opened up many ways of utilizing this smokeless fire for recreation, cooking and other needs. In order to understand how to make smokeless fire, we must understand the definition of fire-making deep into its chemical roots. How does smokeless fire work? It is quite simple as you have to understand firstly that hotter the fire, higher the presence of fuel as well as purity of the fuel. In this reaction, the combusted products are water and carbon dioxide (H2o), which turns into vapour, which is how complete combustion of any fuel happens. Smoke is the result of incompletely combusted products. Hence, all good fire should be must be met with sufficient burning and heating up, without which, the fuel remains incompletely oxidised, creating soot. With the Islamic quote of creation and result of smokeless fire, the interpretation is in the light that jinn are made of pure energy like that of smokeless fire from completely combusted fuel. Starting a fire is easy. Burn a paper and drop it on the peak of your compost pit heap. You will see everything burning. The chicken from yesterday night, to the plastic remnants in the bottom, smokes up, into unbearable toxicity. However, if you are planning on a barbeque night or open grill, you need a fire that burns without smoke. Smoked meat is exotic, when done the right way, but toxic when wrongly done. However, for proper cooking of meat, one needs fire that burns for long without smoking. Traditionally, there have been many ways to make smokeless fire, like by heating up charcoal or dry animal droppings. It takes about 10 minutes at maximum for dried charcoal in order to burn up the fire. 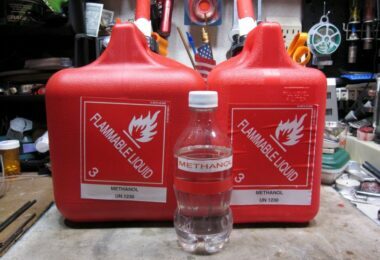 Today, there are multitudes of options of fire starters that are powered by fuel in the form of gel or ethanol-based. The best or expert way of making a fire rests on the skill of making the perfect smokeless fire. This requires knowing which part of the fuel will create smoke or not. 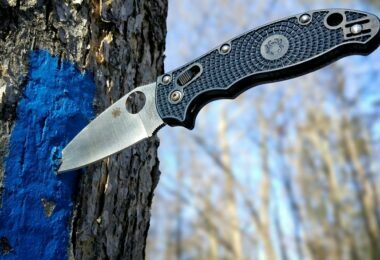 Exemplifying, the bark of a tree is never, used to make smokeless fire. Currently in the market today, we have a variety of products like smokeless charcoal and such which needs the person to simply burn the charcoal to start the fire. Stealth – Starting a fire is not a illegal thing yet, but having stealth while lighting a fire will help you to create a private and luxurious campfire without letting the entire neighbourhood know about your little mission of barbequing exotic Quail. Stealth also ensures keeping you off nosy and cranky neighbours, who dig for reasons to complain to you about. Null smoke pollution – Another important environment-friendly nature of smokeless fire is its null smoke, which helps in reducing air pollution by a high degree, while burning. A big concern of air pollution is the smoke of incessant vehicles and factories in the vicinity. In order to reduce the rate of emitting poisonous smoke due to burning, we have municipal dustbins where waste can be, dumped instead of being burnt. As garbage cannot be smokeless, one should continue dumping them in compost pits or public waste disposal bins. No disturbance to the neighbours – Another important aspect of large fire in the area is the disturbance it causes to the locality. If you have an immediate neighbour who is senile and asthmatic, it is, possible that he will be not just irked, but also concerned about your fire being his undertaker! A smokeless fire keeps your lungs as well as your neighbour’s lungs safe. Efficient cooking – Another important advantage of making smokeless fire is the efficient method of cooking anything. Historically, indoor fireplaces were, used to give heat without any smoke, so that one could even hang a kettle or bake bread above the same fireplace. This has been, extended to cooking meat and other heavy barbeque like cuisines where smokeless consistent fire is, used to cook. This food is, cooked well without fat or oil, which is a healthy hygiene to have. Take a look at our piece on the best campfire cooking equipment to help make your camping more efficient. Faster and longer – The best aspect of productive cooking on a smokeless fire owes to its fast cooking time. 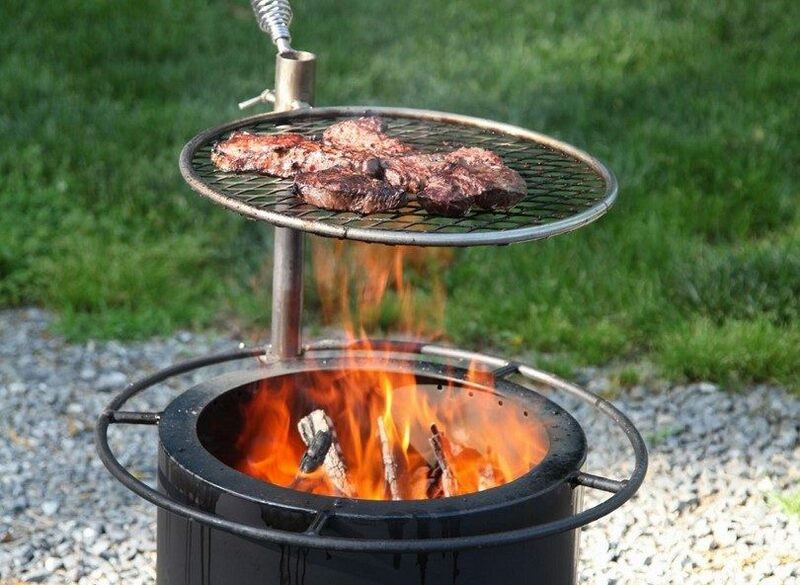 In addition, as the fuel is charcoal or natural, rather than gasoline or kerosene, you can cook bulk meat, as the fire stays for long, without smoke. Less fuel – Another positive thing about making smokeless fire is the use of fuel. Unlike regular burning, smokeless fire fuel remains for long once there is coal, and is hence an economical option. 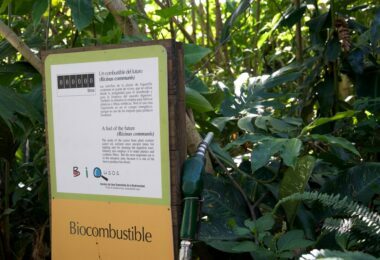 Multi-purpose fuel – Smokeless fuel can be, used to cook in stoves, multi-purpose stoves, freestanding boiler, wood burner and room heater. Making the best of smokeless fire is campfires in your own backyard with absolute stealth, maximum protection, and least disturbance to your neighbours. 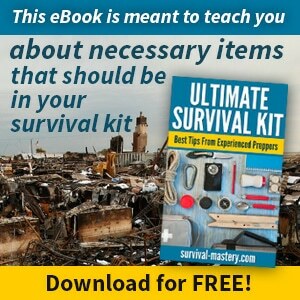 Things you will need are newspaper, firelighter, kinder, charcoal, Bricks, and Water. Now set up your fireplace using the bricks. Use 2-3 bricks t o make a stove of any shape. Make sure you leave enough space for the fuel in between. Now, take one sheet of a newspaper (not the entire newspaper, just one will do), and keep it in the centre of the bricks. Now, take three kinder pieces of your choice of wood and keep it in a triangle over around the paper nest that you just placed. Now, make another triangular kinder and keep it on top of the former triangle, in a start shape. Make sure your arrangement is efficient enough not to collapse immediately. Light up the firelighter and drop enough charcoal to start your efficient smokeless fire! A Dakota Fire is the best survival mechanism for the efficient-most fire that anyone can make. In this case, fuel is not required in plenty and less labour, except for the initial dug-up pit. The fire is, made by digging two pits in the ground, unlike the ground level makeshift stoves. One pit is, used to burn the fuel and cook, while the other lets the airflow into the pit right. The two pits create a suction of air in the bottom of the pit, where the air is, drained-off through the cooking while on the other end; air is, pulled-in through the airflow-pit. 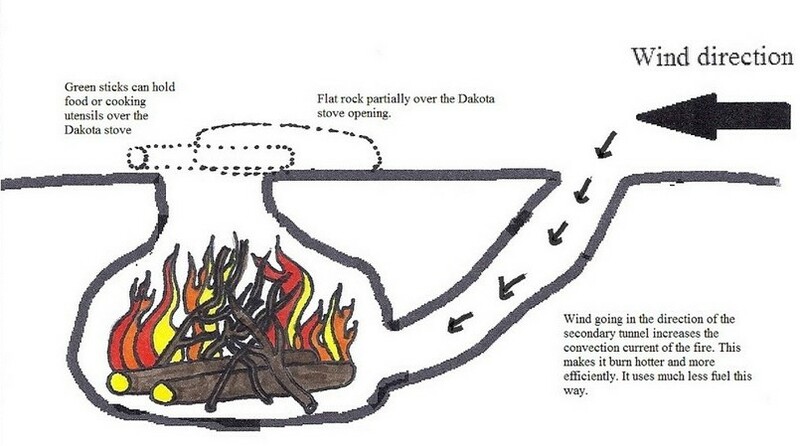 This method keeps the fire burning for longer due to the endless supply of oxygen to combust the fuel. The fire keeps getting hotter with more air drawn into the pit. 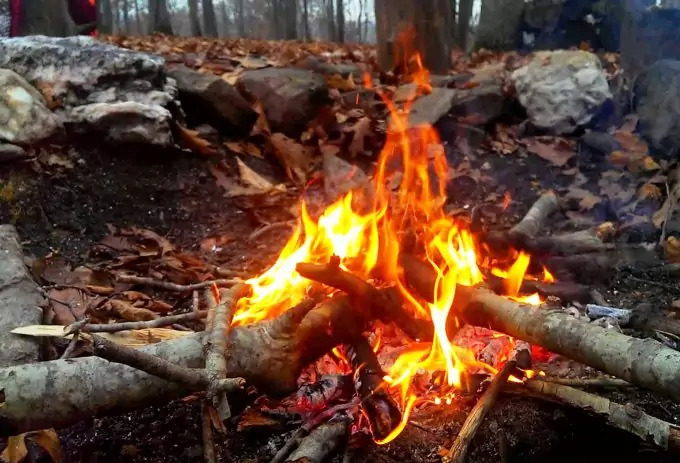 This fire is, used by campers to keep the night lit up, while in the wild. Find the appropriate place for the fire. Avoid areas of rock, roots, wetness and loose soil. Use your shovel to dig a big enough hole that can keep your vessels intact while the hole becomes a perfect stove. To do this, draw a circle of your choice of measurements and dig into one feet depth. The most difficult section of making a Dakota Hole is making its airway duct. This jug shaped portal to the stove chamber should be, built strongly. Check the direction of the wind and start digging an airway duct one foot away from the fire chamber. Make sure your angle of digging is right to facilitate air into the fire chamber. When moving off the area, fill in your hole with soil and tidy your waste and belongings. 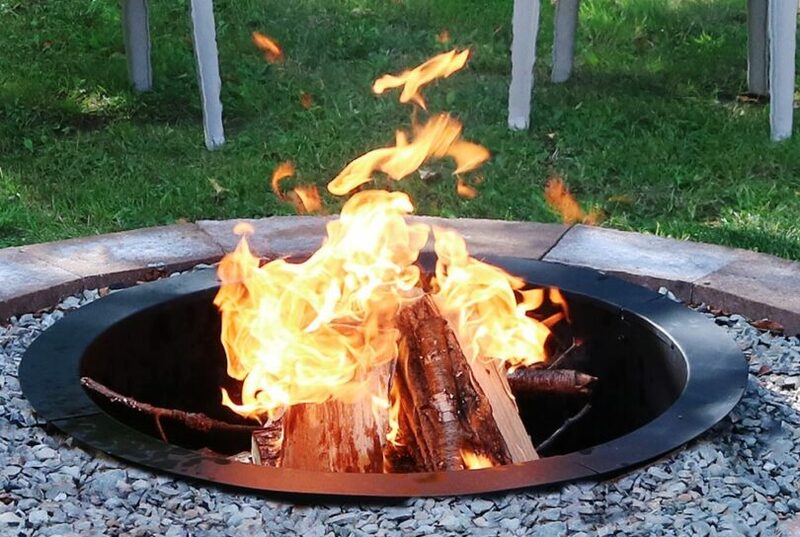 Dakota fire pit is a foolproof mechanism that provides an efficient fire sans any smoke. The fire pit does not get, disturbed by high wind on the ground level and is the most fuel-efficient fire. As the fire is hotter than most other fires, the better the heat received! Currently, there are many technologically advanced methods of smokeless fire-making Bush Buddy Stove and such that provide instant, smokeless fire for cooking and camping purposes. 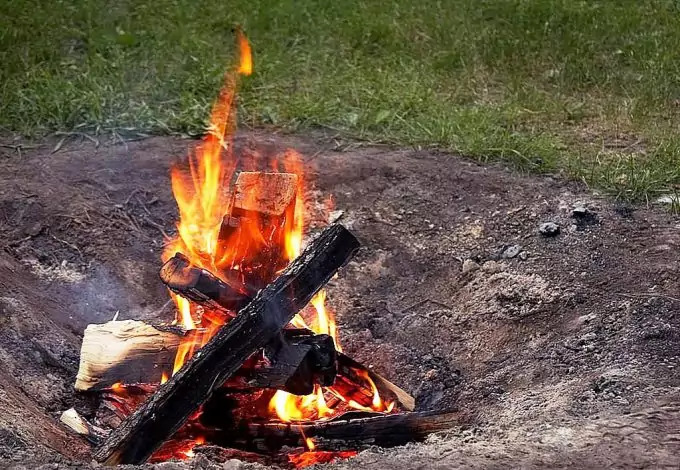 However, if you are a true survivalist, you will see that nothing battles the unparalleled success of Smokeless fire pits like Dakota pit, through centuries! 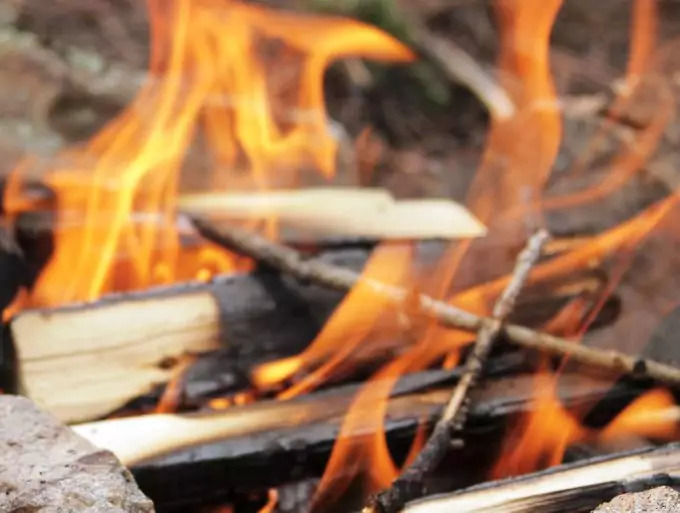 The perfect smokeless fire fuel options are dry animal droppings, wood without bark, squawk wood, dry grass, twigs and sticks. All fuel used should be maximum of 2ft and a minimum equivalent to the size of your thumb. Keep your fireplace and its surroundings tidy. The current marketplace is filled with innovative and efficient model fireplaces that are portable as well as energy efficient in its all respects. While choosing modern equipment for smokeless fire, make sure you prefer an eco-friendly model as the opposite will be damaging rather than giving you any benefit. Almost all models come with an electrically activated chimney that is, placed right above the stove. The fan in this chimney drains out all the smoke as well as cooking smell, almost instantly. Classic – The traditional fireplaces with the best energy efficient, state-of-the-art technology made exclusively to enhance your Victorian or autocratic interior designing. Some examples are cave fireplace, wood fireplace and iron-wired fireplace. Grates – The most modern idea of fireplace grates are the easiest one to give a new tint of exquisiteness to your interiors. This keeps you warm and has innovative waves to keep the fire fuelled, safe and smokeless, absolutely. 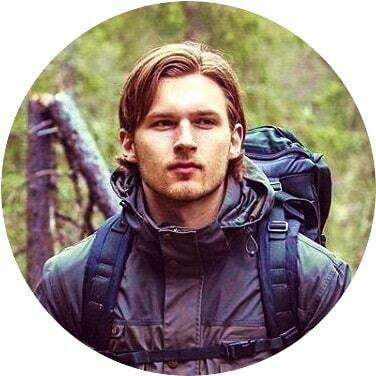 Sliding to start a fire is certainly an exotic exquisiteness! Fancy – There are varied firebox inserts, glass jar fireplace, glass vase fireplace, giant candle holding fireplace and other innovative designs that can be custom made to suit your own interiors. There are zillions of portable, eco-friend and smart fireplaces in the market currently that is suitable for all indoor and outdoor settings as well. Renovated fireplaces – Today, it requires just a couple of hours knotting and bolting to fix up an old fireplace into the glistening fireplace akin to King Howl’s! Renovated fireplace can be, made exclusive utility options of wrap-up function of the fireplace that can help you save space. The trendiest fireplace of the age is the bio-ethanol fireplaces do not need chimneys, wires and flues around it. It is almost identical to the pure crimson fire of the God of Red that sparkles sans any spitting, ash or embers encapsulated in a lovely glass vase in the corner of your Hall. These are the smartest options, thanks to the unique, efficient and cheap fuel option. Today, there is no limit with how much you can produce and use fire. Use fire sensibly, joyously and divinely. Good Luck! For more of useful fire safety tips, see our article on this topic.